Maersk H2S Safety Services A/S signed a 5-year contract with Aker BP ASA for the provision of H2S services in Norway. The signing took place during the kick-off meeting held in Maersk H2S Safety Services’ headquarter in Esbjerg, Denmark on the 13th December 2018. 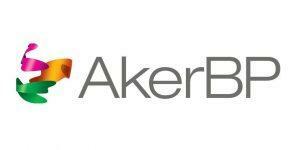 Aker BP is one of the largest independent oil companies in Europe, headquartered at Fornebu with offices in Stavanger, Trondheim, Harstad and Sandnessjøen. Maersk H2S Safety Services is one of the world’s leading gas safety services providers with head office in Denmark and bases in Australia, Brazil, Brunei, Congo, Italy, the UAE and Norway. We are looking forward to great cooperation with Aker BP in Norway.